As the famous advert for the world's favourite fizzy pop tells us around this time of year: "Holidays are coming…" Namely, the Christmas holidays are coming around the bend and if you're still stuck for gift ideas for the Formula 1 nut in your life, fear not! Take a look at some belters we've picked out below as time ticks down until turkey day. 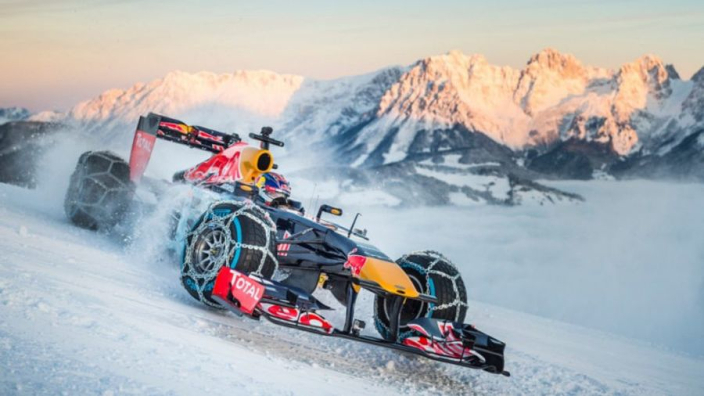 There isn't an F1 fan alive that hasn't watched the grid barrel around a circuit and thought: "I wonder if I could do that…"
Well now it's possible to find out for sure! 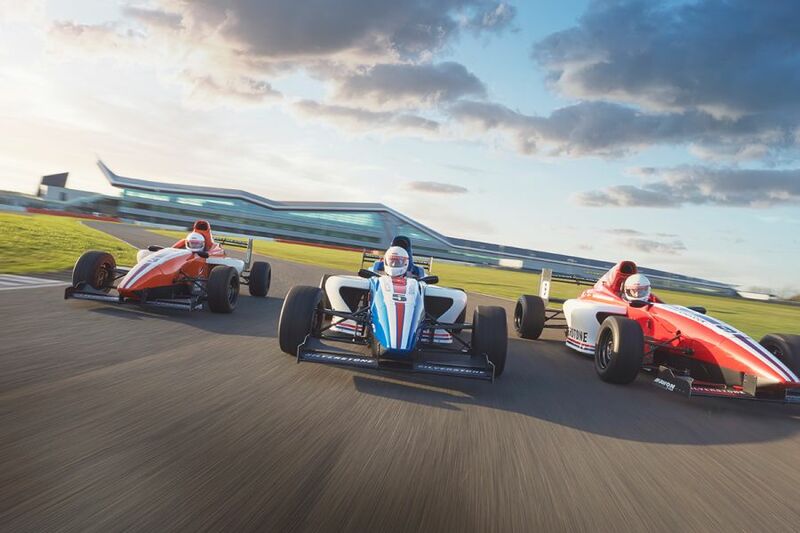 You can have a go at the very first grand prix circuit at Silverstone, whether in a road car, or even a single seater that reaches speeds of 145mph! 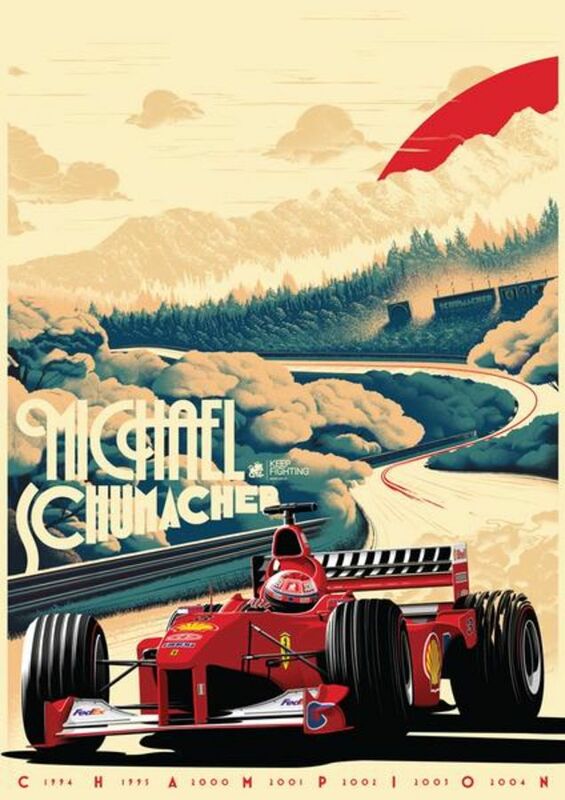 Art is always a subjective topic, but I think we can all agree that this Michael Schumacher poster is an absolute beauty. It's been designed by UK-based artist Crooked Cartoon – aka Alex Sylt – in aid of the Zoom Auction and the Keep Fighting Foundation. Just 800 copies of a limited edition, A1 sized version of the poster have been made available. Larger than the original, they are individually numbered, so you'll have to move fast! 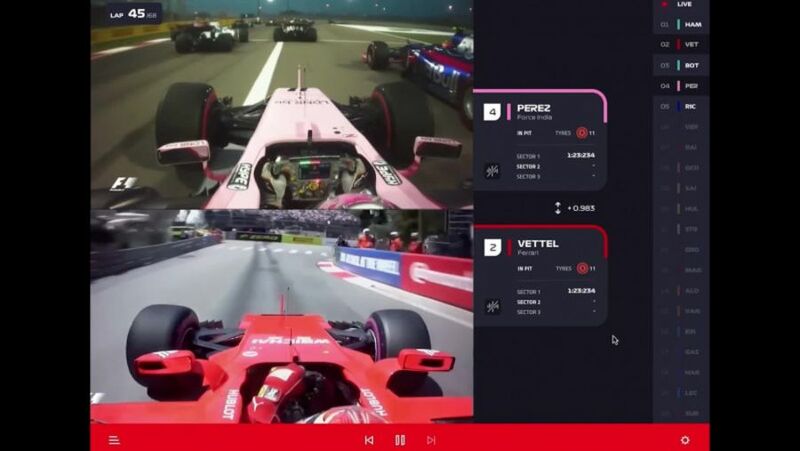 Now, F1's streaming service might not have had the best of receptions on its launch in 2018, but Liberty Media say things will be better next year. From Stoffel Vandoorne keyrings (if they've been naughty) or exclusive artwork of the sport's biggest stars (if they've been nice) you can browse through a huge selection of official F1 items here. Ramping it up a notch are the good folk at Memento Exclusives, who craft items out of F1 car parts – who knew you needed a clock made out of a piece of Nico Rosberg's gearbox?! If you're really looking to splash the cash you can drop 20 thousand pounds on one of two 'opus' books – one on Ferrari and another on the history of F1 champions, signed by no fewer than 18 of them including the likes of Sir Jack Brabham, Sir Jackie Stewart and Phil Hill. If you want the thrill of racing, but don't quite have the bravery for taking it to the track, why not meet in the middle, with a F1-themed Scalextric. 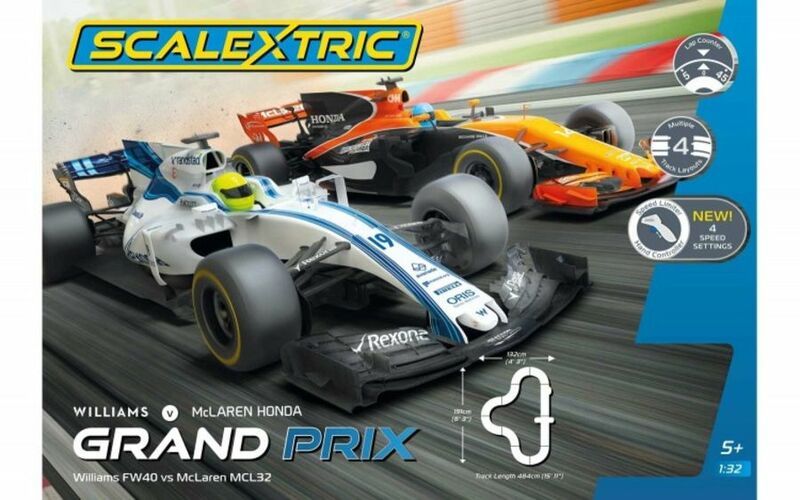 You don't have to stick to the cars delivered with the track, as Scalextric have a vast array of car models, modern and classic, available for the finger racers among you. Scalextric can get a bit repetitive, once you've nailed that Turn 4, you'll never forget it. 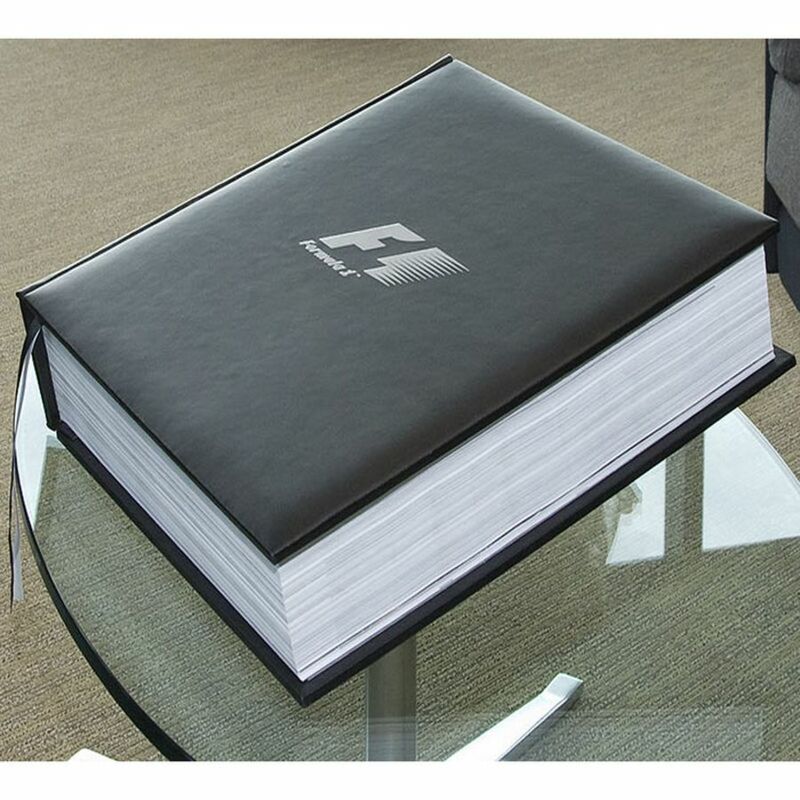 If Christmas Day is a quieter affair at your house, then why not indulge your F1 fan with a book, especially one that charts the life and times of one of the greatest characters in the modern era of the sport. Tales of Kimi's hellraising days and 2007 world title triumph will keep them entertained over and over again! No fewer than 941 pieces make up this brick-based homage to the constructors' champions, with two cars and a garage to build.